Beau Barnes, tenure and promotion, associate professor, Department of Accounting, Pullman. Ming-Hsiang Chen, promotion, professor, School of Hospitality Business Management, Pullman. Jeffrey Joireman, promotion, professor, Department of Marketing and International Business, Pullman. John Baser, promotion, senior instructor, Department of Crop and Soil Science, Pullman. Michael Brady, tenure and promotion, associate professor, School of Economic Sciences, Pullman. Ian Burke, promotion, professor, Department of Crop and Soil Sciences, Pullman. Lynne Carpenter-Boggs, promotion, professor, Department of Crop and Soil Sciences, Pullman. Brittany Rhoades Cooper, tenure and promotion, associate professor, Department of Human Development, Pullman. David Crowder, tenure and promotion, associate professor, Department of Entomology, Pullman. Amit Dhingra, promotion, professor, Department of Horticulture, Pullman. Girish Ganjyal, tenure and promotion, associate professor, School of Food Science, Pullman. Gwen-Alyn Hoheisel, promotion, professor, Agriculture and Natural Resources, WSU Extension, Prosser. Patricia Kuzyk, promotion, clinical associate professor, School of Economic Sciences, Pullman. Stefano Musacchi, promotion, professor, Department of Horticulture, Wenatchee. Joseph Shannon Neibergs, promotion, professor, Agriculture and Natural Resources, WSU Extension, Pullman. Tobin Peever, promotion, professor, Department of Plant Pathology, Pullman. R. Troy Peters, promotion, professor, Biological Systems Engineering/Irrigated Agriculture Research and Extension Center, Prosser. Naidu Rayapati, promotion, professor, Department of Plant Pathology/Irrigated Agriculture Research and Extension Center, Prosser. Elizabeth Soliday, promotion, professor, Department of Human Development, Vancouver. Daniel Teuteberg, tenure and promotion, associate professor, Youth and Families Program Unit, WSU Extension, Elma. Timothy Waters, promotion, professor, Agriculture and Natural Resources, WSU Extension, Pasco. Chris Barry, promotion, professor, Department of Psychology, Pullman. Tammy Barry, promotion, professor, Department of Psychology, Pullman. Lisa Carloye, promotion, clinical associate professor, School of Biological Sciences, Pullman. Julia Cassaniti, tenure and promotion, associate professor, Department of Anthropology, Pullman. Peter Christenson, tenure and promotion, associate professor, Department of Fine Arts, Tri-Cities. Brian Clowers, tenure and promotion, associate professor, Department of Chemistry, Pullman. Asaph Cousins, promotion, professor, School of Biological Sciences, Pullman. Lee Daffin, promotion, clinical associate professor, Department of Psychology, Pullman. Michael Edwards, tenure and promotion, associate professor, Department of English, Pullman. Brent Edwards, promotion, senior instructor, School of Music, Pullman. John Harrison, promotion, professor, School of the Environment, Vancouver. Lawrence Hatter, tenure and promotion, associate professor, Department of History, Pullman. Leeann Hunter, promotion, clinical associate professor, Department of English, Pullman. Stephen Katz, tenure, associate professor, School of the Environment, Pullman. Allyson Beall King, promotion, clinical associate professor, School of the Environment, Pullman. Marc Kramer, tenure and promotion, associate professor, School of the Environment, Vancouver. Sean Long, tenure, associate professor, School of the Environment, Pullman. Anthony Lopez, tenure and promotion, associate professor, School of Politics, Philosophy, and Public Affairs, Vancouver. Renee Magnan, tenure and promotion, associate professor, Department of Psychology, Vancouver. Keri McCarthy, promotion, professor, School of Music, Pullman. Danh Pham, tenure and promotion, associate professor, School of Music, Pullman. Robert Quinlan, promotion, professor, Department of Anthropology, Pullman. Julie Staggers, tenure, associate professor, Department of English, Pullman. Nikolay Strigul, tenure and promotion, associate professor, Department of Mathematics and Statistics, Vancouver. Mary Trotter-Gonzales, promotion, clinical associate professor, WSU Performing Arts, Pullman. Nikolaos Voulgarakis, tenure and promotion, associate professor, Department of Mathematics and Statistics, Pullman. Roger Whitson, tenure and promotion, associate professor, Department of English, Pullman. Kristin Lesseig, tenure and promotion, associate professor, Department of Teaching and Learning, Vancouver. 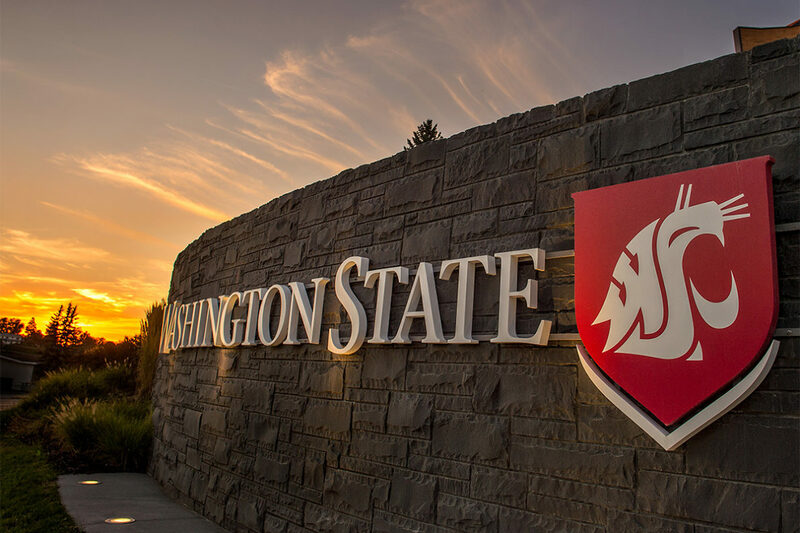 Teena McDonald, promotion, clinical associate professor, Department of Educational Leadership, Sport Studies, and Educational/Counseling Psychology, Spokane. Paula Groves Price, promotion, professor, Department of Teaching and Learning, Pullman. Kelly Puzio, tenure and promotion, associate professor, Department of Teaching and Learning, Pullman. Yong Rhee, tenure and promotion, associate professor, Department of Educational Leadership, Sport Studies, and Educational/Counseling Psychology, Pullman. Linda Eddy, promotion, professor, Nursing, Vancouver. Lee Ann Kifer, promotion, senior instructor, Nursing, Spokane. Loretta Parisot, promotion, senior instructor, Nursing, Spokane. Linda Ward, tenure and promotion, associate professor, Nursing, Spokane. Rey Carabeo, tenure, associate professor, School of Molecular Biosciences, Pullman. Jean Celli, tenure, associate professor, Paul G. Allen School for Global Animal Health, Pullman. Allison Coffin, tenure and promotion, associate professor, Department of Integrative Physiology and Neuroscience, Vancouver. Boel Fransson, promotion, professor, Department of Veterinary Clinical Sciences, Pullman. Rita Fuchs Lokensgard, promotion, professor, Department of Integrative Physiology and Neuroscience, Pullman. Mary Sanchez Lanier, promotion, clinical professor, School of Molecular Biosciences, Pullman. Danielle Nelson, promotion, clinical associate professor, Department of Veterinary Microbiology and Pathology, Pullman. Jon Oatley, promotion, professor, School of Molecular Biosciences, Pullman. Tina Owen, promotion, clinical associate professor, Department of Veterinary Clinical Sciences, Pullman. James Peters, tenure and promotion, associate professor, Department of Integrative Physiology and Neuroscience, Pullman. Claude Ragle, promotion, professor, Department of Veterinary Clinical Sciences, Pullman. Thomas Wilkinson, promotion, clinical associate professor, Department of Veterinary Clinical Sciences, Pullman. Naomi Chaytor, tenure, associate professor, Department of Medical Education and Clinical Sciences, Spokane. Christopher Davis, promotion, clinical associate professor, Department of Biomedical Sciences, Spokane. Pablo Monsivais, tenure, associate professor, Department of Nutrition and Exercise Physiology, Spokane. Ken Roberts, promotion, professor, Department of Biomedical Sciences, Spokane. Mark Vandam, tenure and promotion, associate professor, Speech and Hearing Sciences, Spokane. Rebecca Cooney, promotion, clinical associate professor, Program in Communication, Pullman. Jay Hmielowski, tenure and promotion, associate professor, Program in Communication, Pullman. Myiah Hutchens, tenure and promotion, associate professor, Program in Communication, Pullman. Yoon-Joo Lee, tenure and promotion, associate professor, Program in Communication, Pullman. Sakire Arslan Ay, promotion, clinical associate professor, School of Electrical Engineering and Computer Science, Pullman. Rick Cherf, promotion, clinical associate professor, School of Design and Construction, Pullman. Diane Cook, promotion, Regents professor, School of Electrical Engineering and Computer Science, Pullman. Su Ha, promotion, professor, School of Chemical Engineering and Bioengineering, Pullman. Anantharaman Kalyanaraman, promotion, professor, School of Electrical Engineering and Computer Science, Pullman. Jin Liu, tenure and promotion, associate professor, School of Mechanical and Materials Engineering, Pullman. John McCloy, promotion, professor, School of Mechanical and Materials Engineering, Pullman. Jean-Sabin McEwen, tenure and promotion, associate professor, School of Chemical Engineering and Bioengineering, Pullman. Ali Mehrizi-Sani, tenure and promotion, associate professor, School of Electrical Engineering and Computer Science, Pullman. Jason Peschel, promotion, clinical associate professor, School of Design and Construction, Pullman. Messiha Saad, promotion, clinical associate professor, School of Engineering and Applied Science Tri-Cities, Pullman. Xianming Shi, tenure, associate professor, Department of Civil and Environmental Engineering, Pullman. Matthew Taylor, tenure and promotion, associate professor, School of Electrical Engineering and Computer Science, Pullman. Hussein Zbib, promotion, Regents professor, School of Mechanical and Materials Engineering, Pullman. Xinghui Zhao, tenure and promotion, associate professor, School of Engineering and Computer Science, Vancouver.